You're never lacking for something to do in South Dublin, that's for sure. Last week a cricket team from Bedford Modern School from England came to Corkagh Park to play the South Dublin team in Clondalkin and now we're getting ready for the WOMAA World Martial Arts Games in two weeks! Now South Dublin County Tourism in partnership with South Dublin County Council, IPB Gathering Fund, Gathering Ireland and Citywest Hotel Conference & Event Centre welcome the WOMAA World Martial Arts Games from the 9th – 11th of August. 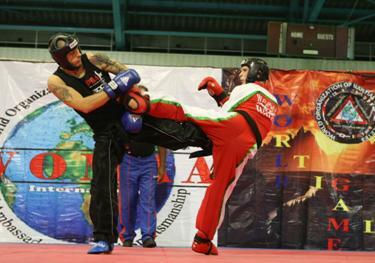 The event is a gathering of martial arts participants, enthusiasts and their families from all over the world. At present participating countries include: Canada, U.S.A., Mexico, Argentina, Uruguay, England, Ireland, Scotland, Poland, Norway, Wales, Denmark, Sweden, Norway, Spain, Italy, Ghana, Bangladesh, Armenia, Slovenia, India, Portugal, Isle of Man, Jersey Islands, Georgia Republic, Jordan, Azerbaijan, Germany, Nigeria, Hungary, Nepal and Okinawa. The event is also expecting around 800+ international competitors, family members, guests, and spectators over the three day event. This three day event will be a spectacular display of world class athletes competing in disciplines such as 17 divisions of Gi Grappling, 28 divisions of Freestyle Jujitsu, Full Contact Kickboxing and Mat Sports.